First and foremost, the couple's mutual adoration for each other made the broadcast well worth the time investment. During the ceremony, Harry reportedly whispered "You look amazing. I'm so lucky." to his soon bride-to-be. The couple exchanged subtle smiles, soft giggles, and winks, even, during the nuptials. For any Royal event, the fashion is always the buzz, but for this ceremony, my favorite parts were the tributes made to Harry and William's beloved mother, Princess Diana. 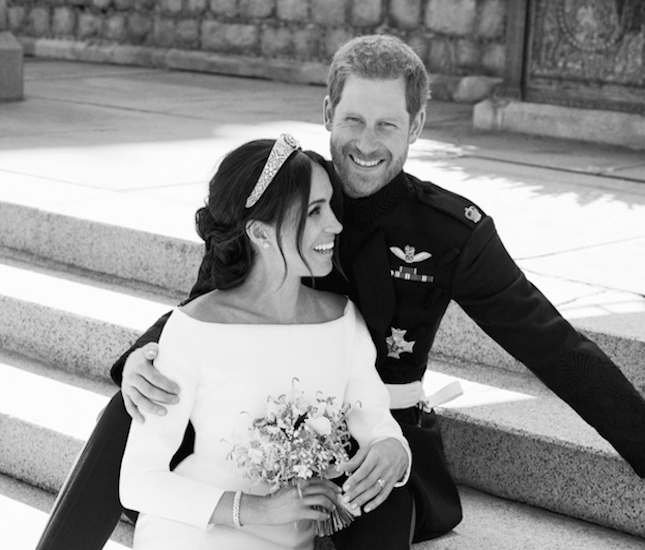 Diana's favorite flower, forget-me-nots, were included in Meghan's bridal bouquet (as well as hand-picked flowers by Harry). 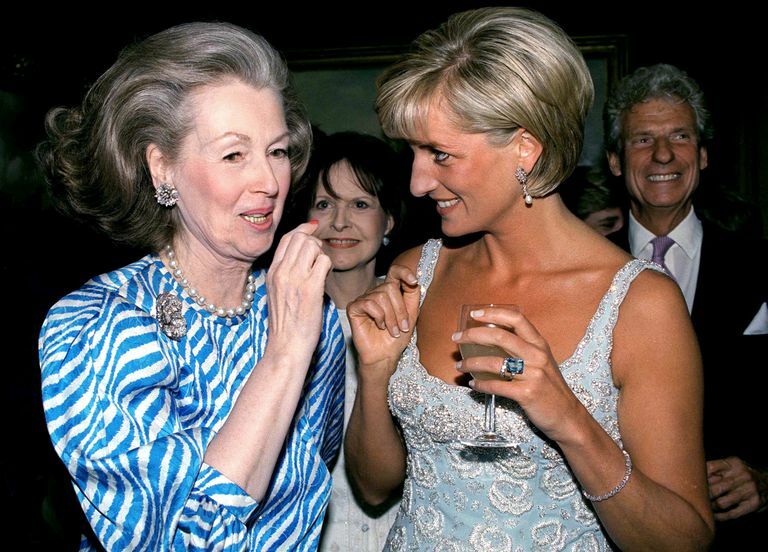 Lady Jane Fellowes, Diana's older sister, read Biblical scripture during the wedding ceremony and also accompanied the Royal Family as they sent off the newlyweds on their horse and carriage. 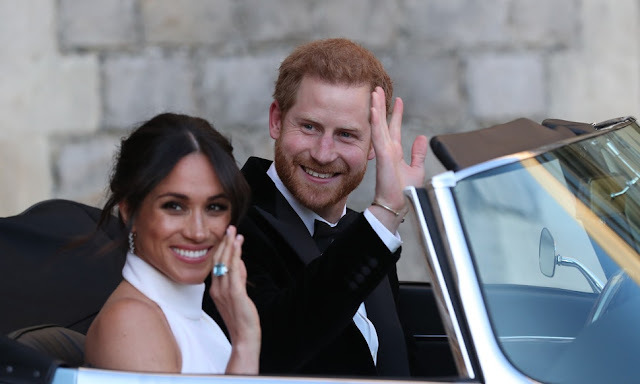 Following the couple's send-off, photographs were later taken as they made way to their wedding reception, where Meghan was spotted wearing Diana's emerald cut aquamarine ring (seen in the photo below). In addition to honoring Princess Diana, the couple put a lot of thought into making the public feel included. The couple selectively chose their horse-drawn carriage for its height so the Windsor bystanders could catch a glimpse of the newlyweds as they made their way to their evening reception. The couple also requested the wedding flowers be donated to local hospice patients following the ceremony. 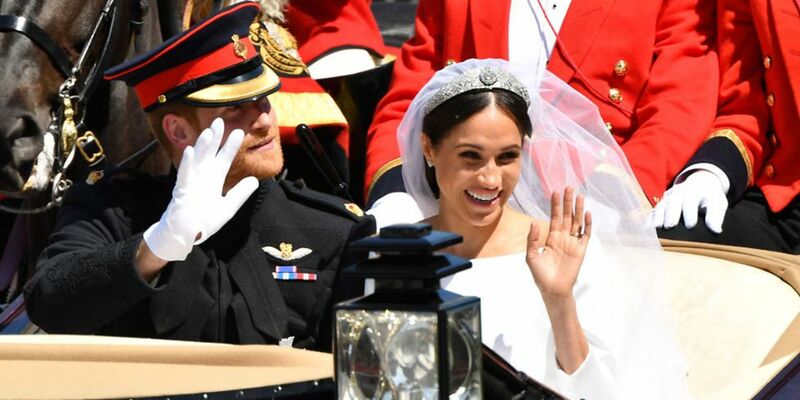 It goes without saying, the Royal Wedding of the Duke and Duchess of Sussex was a true modern fairytale. This historical day was one to remember and will be celebrated for years to come! 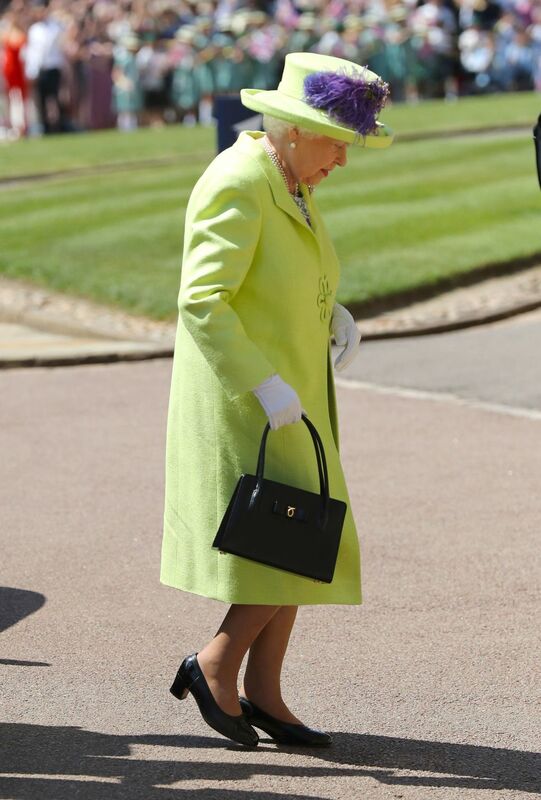 So there you have it — my favorite moments from the Royal Wedding. What wedding details did you love most? Let us know in the comments below!